What else is there to say about robin? Should I mention the fact that “two Robin Redbreasts built their nest within a hollow tree” and raised a family there? Those who grew up with Mother Goose know the touching story by heart. (Fewer and fewer students I teach have ever heard those poems and are amused when I quote them.) Incidentally, the fact that people coined the phrase robin redbreast shows how vague (“non-informative”) the word robin was. No one needs “a supplement” to woodpecker, swallow, or sparrow. But if rob– was a generic root that could denote anyone from a sheep to a seal, robin, even with a suffix, did need reinforcement. Robin Goodfellow, mentioned and even illustrated last week, should not surprise us either, because the names of venomous creatures (spiders, among them) and monsters often have the same root or are even homonymous: compare bug, the verb to bug, and bugaboo. The existence of Robin Hood is dubious, to say the least, but the choice of the name (Robin) for a legendary character is typical. Also don’t forget Robin the Bobbin, who ate more meat than fourscore men, along with a church and a steeple, and all the good people, but complained that his stomach was not full. He may shed no light on my story, but here is another monster, and the root (rob-), whose existence I defended last week (January 16, 2019), is equally omnivorous. There also was Robbin-a-bobbin/ He bent his bow, / Shot at a pigeon/ And killed a crow.” The experience of many an etymologist is similar (see the title of the present post). Are these the original round robins? Image credit: Round Robin image by Paul lee6977. CC BY-SA 4.0 via Wikimedia Commons. Naturally, we are most interested in the origin of round robin “circular petition.” It seems that that usage originated in the British navy. In 1802, Charles James, the author of A New and Enlarged Military Dictionary…, explained the phrase as “a corruption of ruban rond.” Of course, he may have had predecessors. In any case, this derivation has been repeated in numerous sources; even the usually cautious Wikipedia cites it. Ruban rond figured in Webster until 1864. C. A. F. Mahn, the first reasonable editor of Noah Webster’s etymologies, left the phrase without any explanation. But in 1880, French rond + ruban reappeared there with perhaps, added to be on the safe side, and stayed there until the famous third edition (1961), when it was again expunged. The first edition of the OED left round robin without any explanation (just cited the examples), The Oxford Dictionary of English Etymology stated that the reference to robin remains undiscovered, and the OED online only states that the phrase was probably coined by sailors. Not a single thick dictionary of the last fifty years offers even a tentative etymology. Obviously, the French source should have been ruban rond, but Engl. robin round has never existed. To remedy the situation, some old dictionaries referred to the spurious French phrase rond ruban, a poisonous plant on the soil of English etymology, as James A. H. Murray might have put it (he was fond of such memorable expressions). French ruban rond is a ghost word, and for that reason English could not have adapted it for its use. But even if it ever turns up in French texts, it will have to be understood as a borrowing from English sailors, refashioned after ruban rouge, ruban bleu (ribbons for orders), and the like. There was an attempt to connect robin in round robin with roband “short length of rope yarn or cord for lashing sails to yards,” formerly called robbin or robin. However, round roband, that is, “round ribbon,” has not been attested either. I am aware of only one more conjecture about the history of round robin. Richard Stephen Charnock, a dialectologist and an active student of proper and place names, wrote countless notes on the etymology of English words, few of which have value. In 1889, Trübner and Co. brought out his book Nuces Etymologicae (that is, approximately “Keys to Etymology”). In the introduction, he promised to correct the mistakes of many of his contemporaries. Among other things, he suggested that round robin is “more probably from round ribbon.” This was a wild guess, and no one remembers it. Both are round robins, though the cigar fish is not at all round. 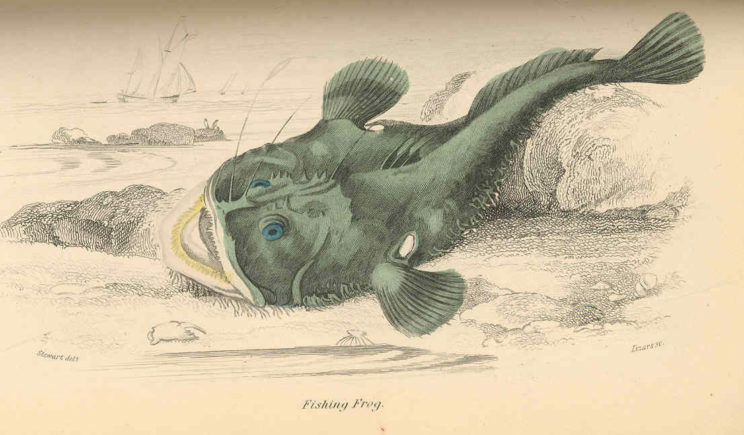 Image credit (top to bottom): Fishing Frog by Hamilton, Robert (1866) British Fishes, Part I, Naturalist’s Library, vol. 36, London: Chatto and Windus. Public Domain via Wikimedia Commons / Round Robin or Cigar-Fish by Goode, George Brown (1884) Fisheries and Fishery Industries of the United States: Section I, Natural History of Useful Aquatic Animals, Plates, Washington, DC: Government Printing Office. Public Domain via Wikimedia Commons. 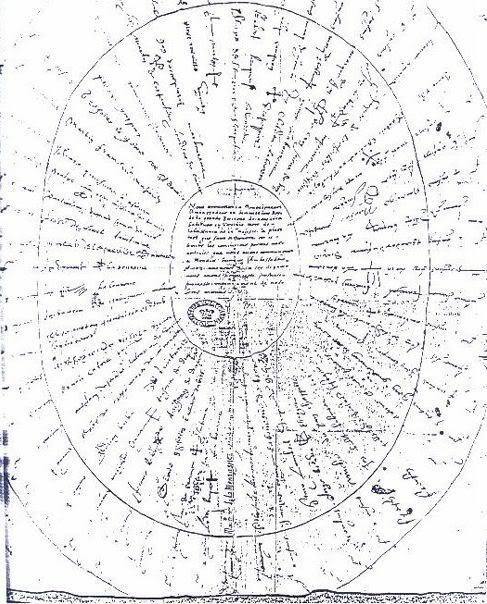 It does not seem likely that we’ll ever know who and under what circumstances coined the funny phrase round robin, but perhaps it is more reasonable not to separate round robin “circular petition” from round robin “pancake; cookie.” The technical sense (“hood” and the like; Robin Hood!) reinforces the idea that a round robin is simply a round object. Note the senses of round robin, as they appear in The Century Dictionary: “pancake; a kind of ruff, apparently the smaller ruff of the latter part of the sixteenth century; same a cigar fish; the angler Lophius piscatorius” (we are again in the animal kingdom), and then the document that interests us. The OED cites many more technical senses. Perhaps the local meaning of round robin “pancake” was first applied to the document by natives of Devonshire. It has been pointed out that that county had been well represented in the navy. Featured image credit: Image from page 64 of “The Boyd Smith Mother Goose” (1920) by Internet Archive Book Images. Public Domain via Flickr. Implying, as I read it, the etymology of “sparrow” (in particular) is clear and simple. No “supplement” needed. 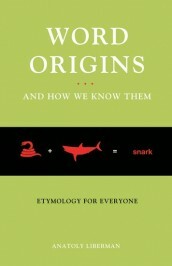 Which begs the question, “what is the etymology of “sparrow”? Wiktionary gives a long list of related words that includes Old German, Norwegian, Swedish, Old English, etc. But none of them explain what the word “sparrow” actually means in its original meaning. Which meaning is to be found in the Greek word for the bird “sparrow”: Gk “sporgity”. Which derives from the Gk “sporos” (seed)+”gity” (earth/ground seeking). So, Anatoly, a “sparrow”, in its original Greek root, means a small bird that seeks and eats seeds on the ground. And, of course, that’s what “sparrows” do! Thus, the true meaning of the word (its etymology) and the characteristic description of the bird the word names are one and the same. The defining characteristic of all true etymologies for any word! Which raises the following consequential question. How did a good Greek word find its way to English, German, Norwegian, Swedish, and who knows where else? The closest German term I could think of is “Körner-Fresser” (corn devourer, seed eater) as a general dysphemism. I’m torn about your question, because a common root instead of borrowing would allow for more speculation. I’ve thaught long and hard about this and conclude that it originally meant simply bird, which is debatable, for the reasons that Ger. “springen” means “to jump” (cp. “auffahren”, *per-~pre- > Ger. “fahren” – to go, drive – Gr. “phero” – bring, carry), that “sprengen” (to blow up, explode) has the metaphor “in die Luft fliegen” (literally to fly into the air), ignoring the last sylable just like you did for sparrow. Always amused when Greek words (“dysphemism”) are used to diminish Greek etymologies (Eng. “sparrow” from Gk “sporgiti”). To your “fly into the air”, you could also have used “flying off the handle”! But that might have revealed too much! As for “… ignoring the last sylable just like you [I] did for sparrow”, it often happens to polysyllabic Greek words in less syllabic (often mono) English. Here is another example of this happening: Eng. “chair” from Gk “karekla”. And that happens because words evolve and are naturally adapted by ordinary people speaking than by scholars writing. Googling for more info, I came across your response to me on April 21, 2018 in Anatoly’s blog. This being posted some three weeks after my post. I totally missed it. Sorry. Unfortunately, the OUP blogs do not have auto notification when someone submits. And usually, I move on from a fresh post once a fresher post is submitted by Anatoly. But for one general comment. What we don’t need here are more linguists making more academic arguments. The “b” to “f” sound in Eng. “brain” and Gk “freno” (Latin “phren”, as in “phrenology” and “schizophrenia”) is justified by a “sleight of lips”. Linguistic rules not withstanding.